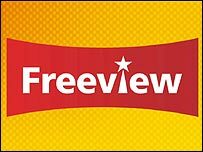 A new entertainment channel planned for the Freeview digital TV service has been pulled because it has taken too long to launch. CBM was due to provide business news, independent movies and minor sports to 1.5 million homes with digital terrestrial receivers. But transmission company Crown Castle has cancelled their contract, saying they had trouble "meeting progress milestones". Freeview viewers saw a screen saying "coming soon" on channel 22 for several months - but a launch date had never been set. "Crown Castle UK, which holds the licence for two of the Freeview multiplexes, has announced today that it has ended its commercial arrangements with CBM Media," a statement said. It was expected to become the home of smaller sports that do not get exposure elsewhere. Financial company Bloomberg was also reported to have agreed to provide breakfast time programmes. CBM were not available for comment, but a spokesman is reported to have said there was "no valid basis" for the termination of the contract. Crown Castle said they may now give the channel to more than one broadcaster in a "timeshare" agreement, where each would be on air part-time. Freeview gives access to almost 50 digital television and radio channels such as BBC Four and Sky News. Viewers make a one-off outlay of about £99 for a set-top box rather than paying a monthly subscription.